The most successful flower gardens are planned to have continuous blooms at different heights throughout the growing season. While annuals bring instant color that can last throughout one growing season, perennials give a wide variety of colors and textures that will come back year after year. Perennial flowers usually hold their bloom for only a few weeks, but the variety of foliage height, color and textures add visual interest to the garden year-round. Plan the perennial flower garden so that there is a succession of blooms all summer long. A mixture of colorful sedum, silver artemisa and blue leadwort added to the earlier blooming low-growing plants will assure garden color until the frost. These flowers are especially good for garden borders and along walks. When planning the placement of the later blooming perennials, remember to plant with color in mind. Group with other like colored late bloomers, or plant in a large quantity so that tiny spots of color are avoided. Mid point flowers grow to a height of between 1 1/2 to 2 feet, or slightly higher. The blue, white or pink varieties of the balloon flower add a soft texture to the late summer garden. The hardy ageratum, with its blue flowers contrasts nicely with the yellow orange blossoms of the coneflower. All will bloom from early August until frost. The striking red lobelia will stand out when it blossoms at just more than 2 feet. Asters and mums are available in so many colors that it’s possible to fill tall flower needs with just these easy to grow perennials. 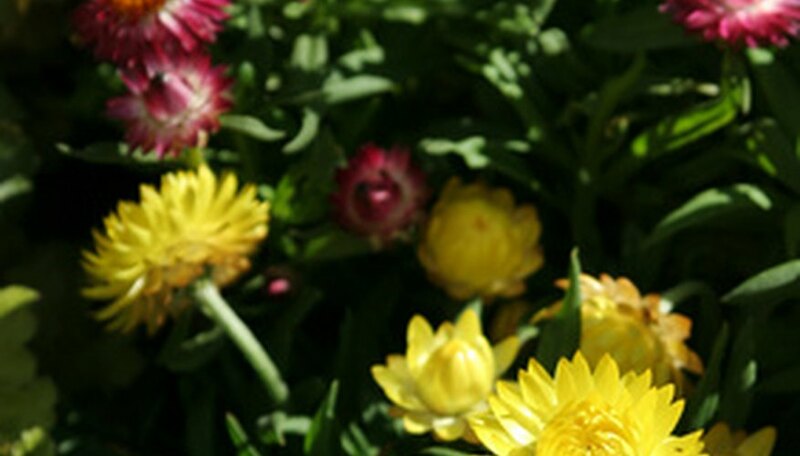 Asters can reach heights of 4 feet, while the mum usually blossoms at 3 feet. Monkshood is a good perennial for partial shade, growing to about 40 inches. The monkshood is also available in many colors. The blue salvia grows to about 2 1/2 feet and can be set off by a planting of meadow rue that will tower it with blossoms of yellow or white. The liatris grows to 48 inches and is available in white, purple and rose. Liatris has the added benefit of serving as a cut flower for a late summer bouquet. It also dries well. The soft blooms of the hybrid goldenrod will add texture at approximately 3 feet. Another tall late bloomer is helenium. It grows to about 40 inches and can be found in yellow and orange. When the garden space needs and extraordinarily tall late-summer bloomer, the Joe-pye weed grows to 7 feet and flowers in lavender. Not quite so tall is the boltonia, with its white, purple or lilac daisy-like flowers. Patrice Campbell, a graduate of Skagit Valley College, has more than 20 years of writing experience. She has worked as a news reporter and features writer for the "Florence Mining News" and the "Wild Rivers Guide," penned promotional material for various businesses and charities, and written for various websites. Which Annual Plants Are Deer Resistant?